Should Reid be a victim atau an unsub? "So, what's the island called?" asked Morgan. "Malihini," berkata Reid. "It's Hawaiian for stranger. there aren't any native people, it's a rather small island." "there are hotels there...we won't have to build our own hut atau anything, right?" Ok now I decided to write a fic about me and reid lolz so i am posting it here lolz and on the reid peminat-peminat spot lolz. This was half sophies idea so thanks. (sorry bout spelling and stuff spelll chacks not working.) i tried I ddont think i got reids character too well but i guess ill see. Feed back is encouraged and l;oved alot so if u could komen i would Cinta it. ok well here it is. 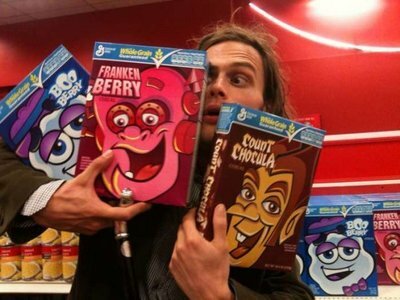 a question telah ditambah: What is your favourite Spencer Reid centric episode and why? a poll telah ditambah: Should Reid be a victim atau an unsub? What does Matthew do for fun?